In this two day workshop we will explore the survival and scouting skills heritage. Our ancestors maintained these skills as a way of life living on the land, this workshop aims to reignite the awareness of these skills in ourselves and our communities. The weekend workshop will start with essential wilderness survival skills. 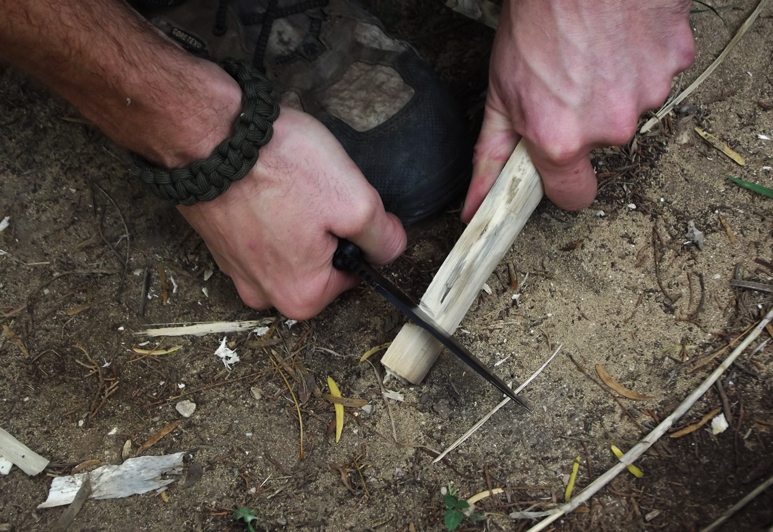 We will cover friction fire methods, water procurement and hasty filtration, basic knifecraft for field usage and temporary stone edges for cutting, cordage and binding basics, and burn spoons and bowls. On the second day, the workshop will cover the basics of animal tracking and how to see tracks, construct bundle bows and survival arrow construction, and an introduction to Scouting skills that are the start to becoming the eyes and ears of a village for community security. Tuition: Early Bird Special until 9/15/18 is $100 for both days. Regular tuition is $120. About The Instructor: Kaleb Montano Hoeffgen has spent the last six years exploring survival skills, scouting, and disaster relief. He is a Martial Arts Instructor in the Russian Martial Art known as Systema and has extensive training in parkour and other disciplines for over a decade. 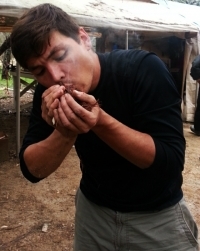 He is a survival instructor that has trained and worked with and alongside various organizations such as Trackers Earth in Portland, Oregon and the Human Path in San Antonio, Texas. He is also a die hard student of “The Human Path” survival school and is training to become an Herbal Medic and Scout for the organization Herbal Medics under Sam and Suchil Coffman.